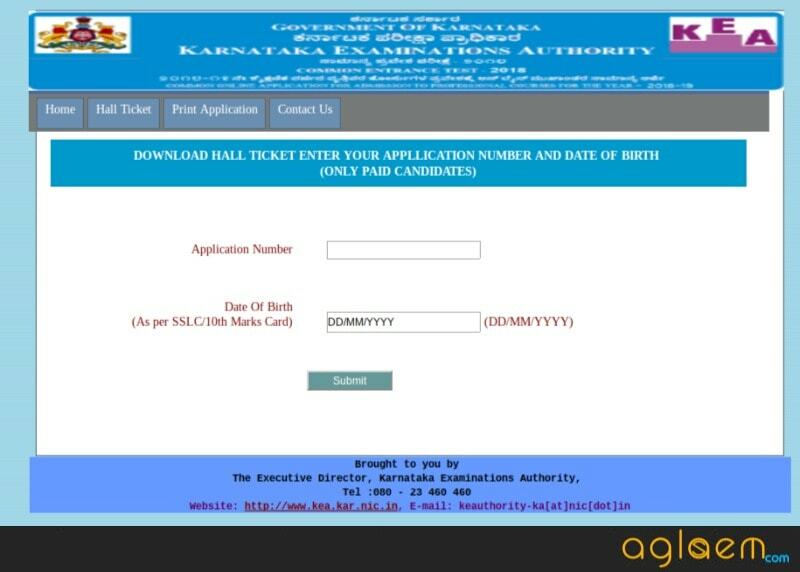 KCET 2019 Admit Card – KEA has released KCET 2019 Hall Ticket. It is available online, on kea.kar.nic.in. The candidates can download the admit card of KCET 2019, from the link below. Details needed to download it are application number and date of birth. KCET 2019 is due to be held on April 29, 30, and May 01, 2019. Candidates have to carry admit card on the exam day. Know more details about KCET 2019 Admit Card from this page. 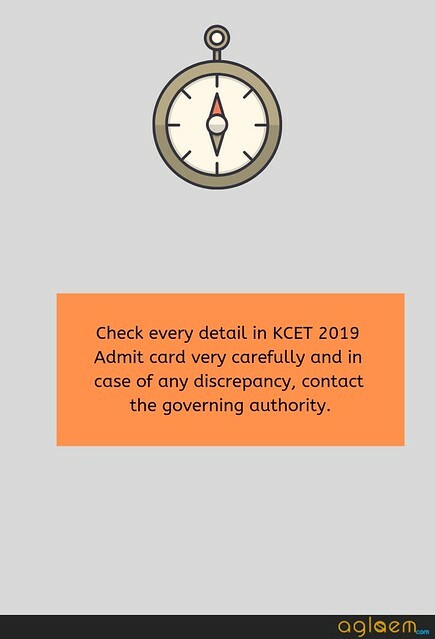 Latest: KCET 2019 Admit Card is now available. Download it from the link below. Download Here: Click here to download KCET 2019 Admit Card. Candidates can check the exam date table given below as the official dates and timings have been announced. The minimum passing marks shall be 12 out of 50 marks in Kannada Language Examination in order to be considered for assignment of ranks and to become eligible for allotment of seats in CET-2019. 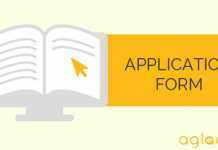 Candidates need to download the KCET 2019 Admit card by following the steps, provided below. Click on the link ‘KCET Admission Ticket 2019’. You have to Enter your “Application Number” and “Date of Birth” in the new window. Then ‘Submit’ after entering the details. Candidates can get to know their forgotten KCET 2019 credentials, by following the steps mentioned below. Start by visiting the link provided below the table. Look for the “Login” button. Click that. 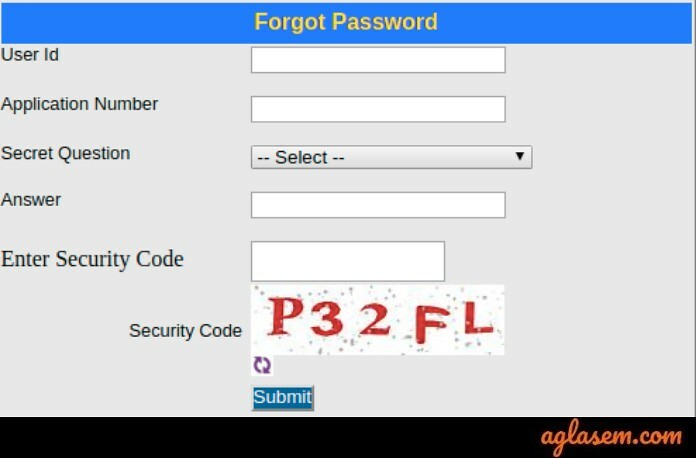 Just below the login box, a candidate will find the “Forgot Password” link. Click that. Candidates are then required to fill details like – User ID, Application NUmber, secret question, answer and security code. Click the “Submit” button to proceed. Your KCET 2019 forgotten password will then appear on the device’s screen. Make a note of it for all the future reference. Mode of the Examination: KCET 2019 is a pen – paper based examination. Duration: Each paper will be of 80 minutes. Nature of the Questions: Each question paper will have Multiple Choice Questions. Marking Scheme: For every correct answer, candidates will be awarded 01 marks. There is no negative marking for answering the questions wrong. Candidates are advised to reach 30 – 45 minutes before the commencement of the examination. 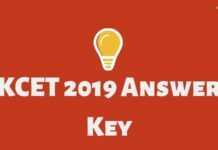 It is advised to keep KCET 2019 safely as it has to be used for various events. So, candidates must not spoil or tamper the admit card. Take KCET 2019 Admit Card to the examination centre at the time of examination positively. Do not carry any electronic gadgets such as mobile, calculators to the examination centre. It is advised to carry a valid id proof such as Aadhar Card/ Passport / Driving License etc with KCET 2019 Admit Card to avoid any chaos and confusion at a later stage. The list of examinations centre for KCET 2019 provided below is based on the data of the previous year. The centre alloted to each candidate is usually the one that is indicated by the candidate as his preference while filling the application form. Examination centre once cannot be changed. The exact address of the allotted venue will be printed on the admit card. Q1. Can a NRI candidate apply for Engineering under KCET 2019? Ans. No candidates falling under such a category is eligible for admission. Q2. Can a candidate having studied from Kannada medium only be eligible for admission? Ans. Yes, a candidate should have studied from Kannada medium in order to be eligible for admission. Q3. How is the merit for Engineering defined? Ans. For Engineering, a candidate needs to secure 50% in the qualifying exam and 50% in the entrance exam. KEA conducts state level examination for admission in engineering, technology, farm science, and pharmacy courses in Government / University / Private Aided / Private Un‐Aided Professional Educational Institutions in the state. The exam is scheduled to be conducted on April 29 – 30, 2019 in offline mode. Candidates need to attempt 230 questions in a 70 mins duration. The good thing about this exam is that no negative marking scheme is applicable, while +1 mark is awarded for every correct answer. The question is asked from Physics, Chemistry, Mathematics and/ or Biology, and Kannada Language. KCET 2019 Application Form – Check Here!